April is the time to start planning for wonderful trips. What do you need for those trips? A huge bag to carry all your things of course! The Poppins Bag by Aunties Two Patterns is a large bag with stays and a zipper closure to keep all your possessions safe. 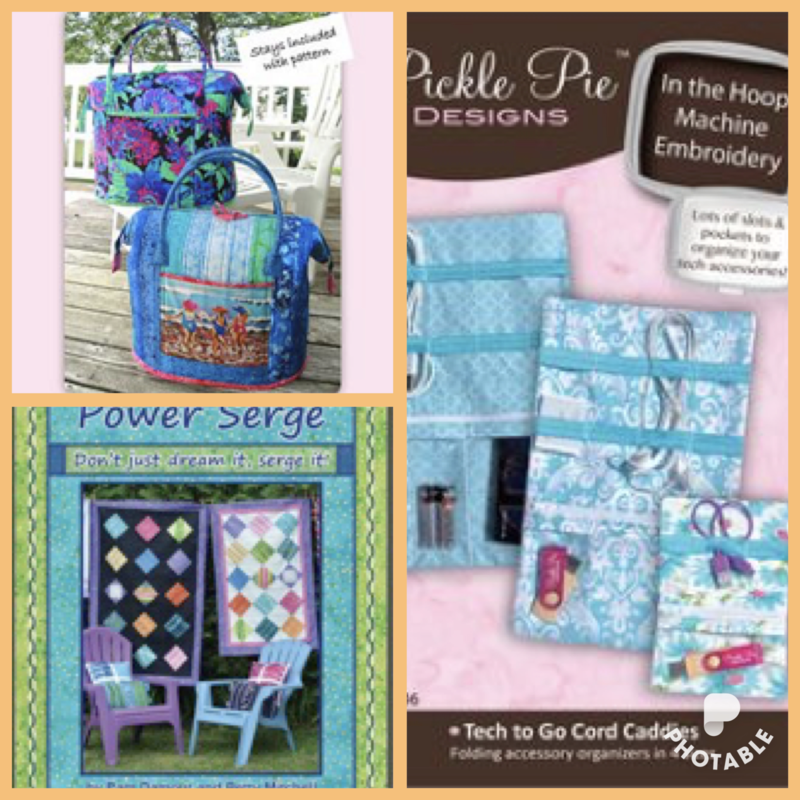 I will show the Tech To Go Cord Caddie (an in the hoop design) by Pickle Pie Designs. Techniques for the Chain Stitch Ruffle block from Pam Damours’ Power Serge book will also be demonstrated. Club is $120 for a year membership with 20% discount on all notions/fabrics on club day. Walk-ins are available at $15.00 per session, but no discounts. Click here to purchase yearly membership cards. Skill Details: Quilting, Embroidery, Serging and Sewing (QESS) club is a lecture and demonstration series where each month we will present books, patterns (both sewing and embroidery), notions, specialty threads, feet and expert instructions pertaining to sewing, quilting, embroidery, and serging. The club meets every third Saturday of the month.